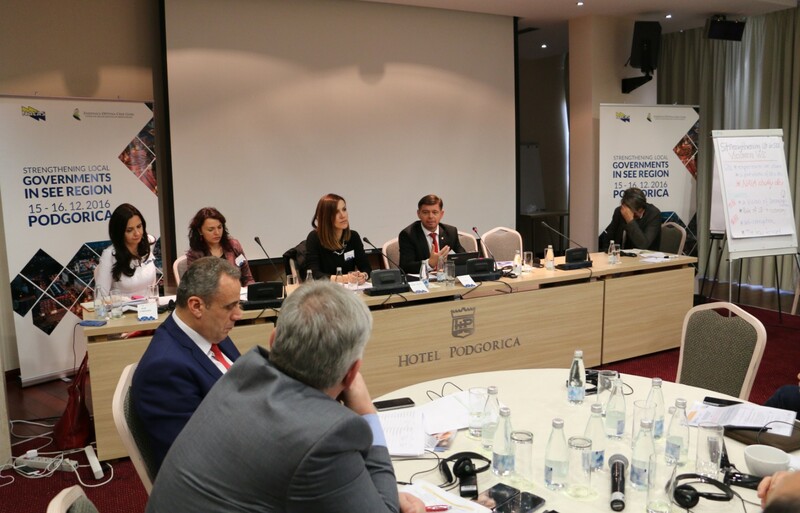 Representatives of Associations of Local Governments from 12 countries of South-East Europe (SEE), international organisations, local and central government representatives met in Podgorica, Montenegro, on 15 and 16 December 2016 to discuss the perspectives for the development of local government in SEE at the visioning conference “Local Governments in SEE in 2022”, organised by the Union of Municipalities of Montenegro and NALAS. 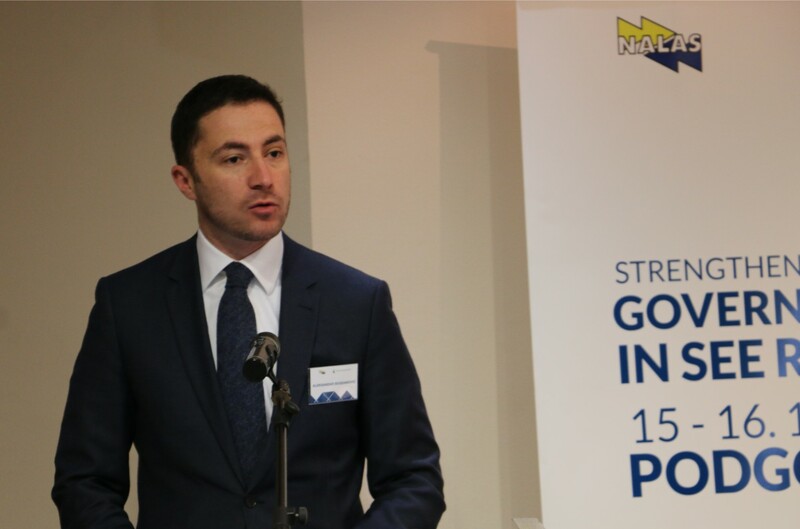 “The level of decentralisation, accompanied by adequate resources remains the main challenge for local governments in South-East Europe”, said in his opening speech Mayor Aleksandar Bogdanovic, President of the Union of Municipalities of Montenegro. “What makes NALAS different from all other organisations is our great potential. We have 9000 municipalities behind through 15 Local Government Associations. We have an expertise and most importantly, we are innovative. We are always a step ahead in every sense. This approach should prevail in this important meeting we have today. Let’s find together innovative models of our action, models to achieve tangible results”, said Mayor Naim Ismajli, NALAS President. “The story of decentralisation is actually a story of the importance of local government, which is immense. One of the new global Sustainable Development Goals (SDGs) is Sustainable Cities, which emphasises this role, but also puts forward huge tasks in front of local governments”, said Mr. Mladen Ivanovic from the Association of Municipalities in the Republic of Croatia. “Local governments in SEE need to re-think their strategy and re-position to revive the decentralisation process and bring it back on the right track. 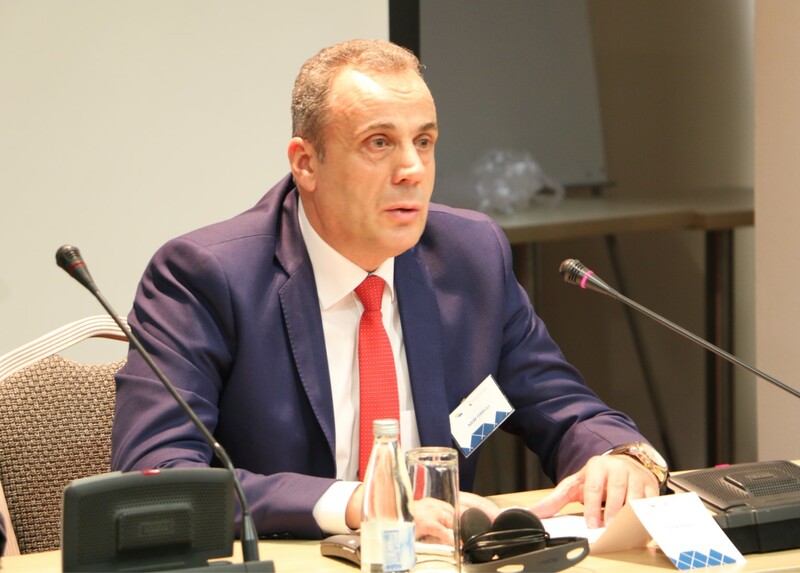 Decentralisation in SEE is not only needed to improve the quality of public services and quality of life of its citizens, but it is also a pre-requisite for further democratisation, conflict prevention and economic growth”, said Mr. Kelmend Zajazi, NALAS Executive Director. Part of the conference focused at the role of local governments in economic growth. SEE 2020 Strategy was discussed, as well as the contribution of local governments in economic development. “Economic development has several important preconditions, such as: good planning, infrastructure, business friendly environment and good public management. Most of these are to be provided at the local level”, said Mayor Darko Fras, Vice-President of NALAS. Representatives of NALAS Task Forces and member LGAs provided an overview of the priorities 2022 in different municipal function areas. According to the panel, some of the key challenges that need to be addressed by in the upcoming years are: improving the legislation related to energy efficiency, improving capacities for planning and implementing energy efficiency measures at local level, advocating for cost recovery models in solid waste and water management that would help improving quality of services, participative urban planning that will ensure acceptance of the urban plans, implementation of green tourism destinations, explore fiscal equalisation mechanisms and their effects at national and regional level and much more. All these will be considered in the new NALAS Strategic Plan for the period 2018-2022.